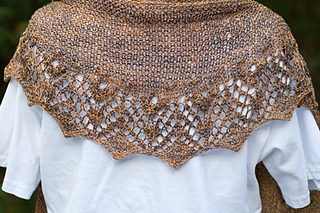 A bottom-up crescent-shaped shawl with a lace border, garter stitch body and an eyelet edging. 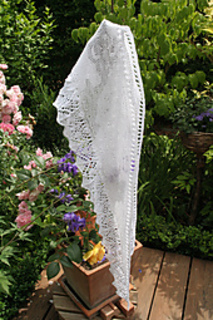 The traditional Estonian lace nupps are reminiscent of grape clusters and the shawl is named after Bacchus (a.k.a. Dionysus) who was the Greek God of wine and a major figure of Greek mythology. 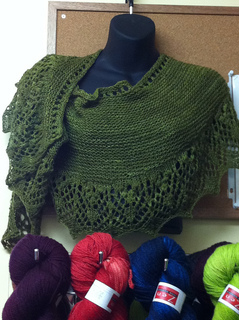 This is a charts & written instructions pattern and features nupp stitches and yarn over twice stitches. 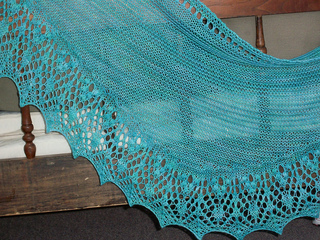 If you prefer not to work nupps, you could certainly add beads by knitting the nupp stitches and adding a bead. 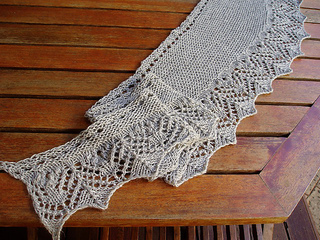 Thanks to my test knitters for laboriously checking both the written and charted instructions - it’s much appreciated! 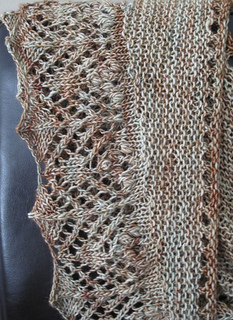 ERRATA: Row 20 of the chart should have a no stitch box in stitch #15.